From playful kindergarten role-playing to the full-scale 8th Grade musical, drama enriches the Krieger Schechter Day School experience. Each year, every grade performs a play in Hebrew and one in English. Plays are an opportunity for parents, siblings, grandparents and friends to share in some of the most precious, and some of the most impressive, showcases of talent and creativity. Click here for the 8th Grade Play Ticket Order Form – Annie – March 13-14, 2018. Students in the Lower School perform each year for one another and for parents and grandparents. Formal drama study is introduced in Middle School. Students in Grade 5 rotate through three trimesters of the arts, which include drama, visual art and music. 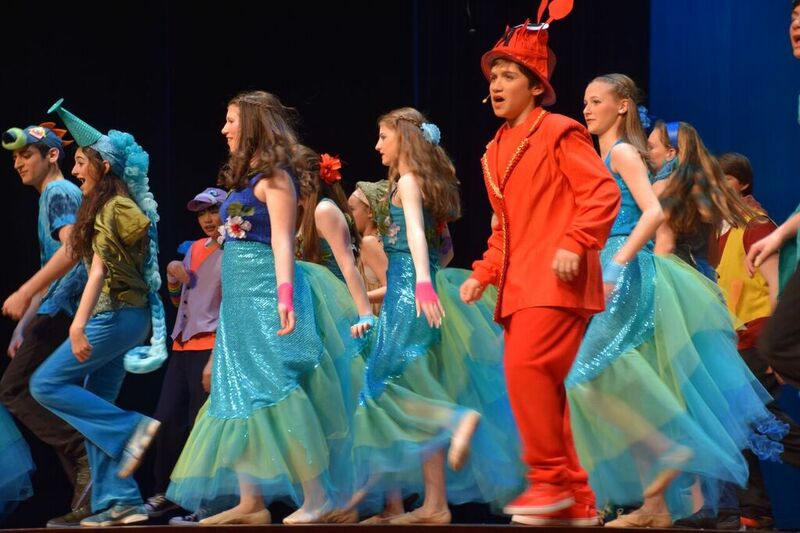 Students in 6th-8th Grades can choose drama as their arts elective, of which each student must choose one per year. Drama classes run twice a week on a semester-basis. Browse the Middle School curriculum for more grade-by-grade information on arts electives.